Montreal is a beautiful city set on an island in Quebec, Canada. Home to famous attractions, museums and great restaurants, Montreal is a fun weekend destination for couples and families. 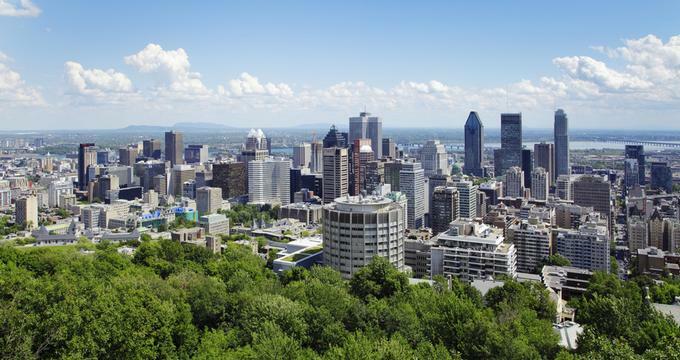 Visit the Montreal Museum of Fine Arts, take a romantic walk through the Montreal Botanical Garden, and admire the architecture of the Notre-Dame Basilica. Best things to do in Montreal with kids include the Old Port of Montreal, the Biodome, the Pointe-a-Calliere Museum and the Montreal Science Centre. One of the most prominent museums in Canada and one of the best things to do in Montreal, this esteemed facility is the largest of its kind in the province of Quebec. The museum’s Sherbrooke Street location is significant for its inclusion in the Golden Square Mile, a prestigious stretch of road within the city’s widely acclaimed historic district. The Montreal Museum of Fine Arts is comprised of four pavilions, with a fifth currently under construction. 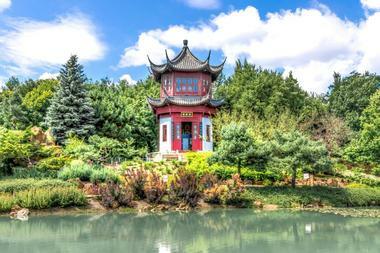 The Montreal Botanical Garden is considered one of the most significant and important contributions to the horticultural world and one of the top Montreal attractions. The Garden’s expansive and diverse collections and comprehensive facilities contribute to its valuable reputation. The 190-acre site features 10 themed greenhouses and a Chinese lantern garden, along with numerous exhibits, gardens, sculptures, and examples of plant life. An onsite planetarium and insectarium add additional interest and educational opportunities, and in the warmer months the Garden hosts a summer concert series. A rotating series of educational and interactive activities, groups, and lessons occur throughout the year based on the seasonal activities of the Garden and featured exhibits. One of the most dramatic architectural feats in the world, The Notre Dame Basilica is a quintessential component of the Montreal skyline. With a colorful and striking interior, the Basilica’s ceiling is painted a deep rich blue and scattered with golden stars. The remainder of the sanctuary is an array of tones that fill the space with vibrant, polychromatic hues. The stained glass windows, which line the walls of the soaring building, depict Montreal’s religious history, and they are a unique departure from the standard adornment of biblical scenes typically found illustrating church glass. When mass is not being offered, the church is open to visitors. Additionally, there are choral performances throughout the year, and an evening sound and light show is presented during the week. 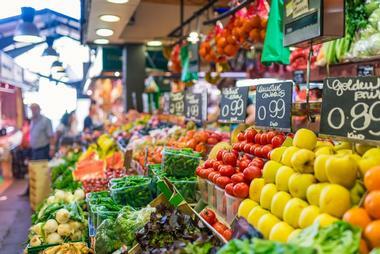 The Jean-Talon Market is an expansive and bustling farmer’s market located in the Little Italy district of Montreal. Encompassing several blocks, the market is a year round staple in the Montreal food scene, and it allows vendors to sell an array of produce, hand made goods, and local farm fresh ingredients. The multicultural variety of ingredients and products lends itself to the appeal of the market, and everything from spices to fresh cut flowers to locally raised meats are available for sale in the open air stalls. In the winter, the market is smaller and moved to internal or closed stalls, but remains open for the sale of seasonal goods. In the warmer months, the market becomes a lively hub of shoppers and vendors. Once the primary functioning port for the city of Montreal, the Old Port of Montreal is now a historic preservation site and recreational area. Originally used for Montreal’s importation and exportation of goods, the port dates back as early as 1611 when it was used as a trading post by French fur traders. However, in the 1970’s, the Port’s economic and functional purposes were transferred to a new location, and this site became a tourism based recreational district. Today, visitors can walk up and down the mile long stretch of docks and see an expansive collection of attractions. If you are looking for things to do in Montreal today, this is a great place to start exploring. While the riverfront is often used for walking, roller-blading, or biking, it is also home to several event venues, an urban beach called Plage de l’Horloge, or Clock Beach, the IMAX theatre, and the Montreal Science Centre. Housed in the facility that once hosted the 1976 Montreal Olympics, the Montreal Biodome is now a natural science epicenter. Visitors to the Biodome are able to contemplate replicas of each of the four unique ecosystems found within the continents of North and South America. They have the unique opportunity of coming into contact with the geographical patterns and plant and animal life that inhabit these regions. The Tropical Forest exhibit, for example, allows visitors to walk through a replica of South American rainforests. The Laurentian Forest exhibit displays the North American wilderness, while the Saint Lawrence Marine Eco-system comprises a habitat created around an estuary modeled after the Gulf of Saint Laurence. Finally, an expansive polar section is designed to provide insight into both the Arctic and Antarctic regions. Located within the 1820’s era Old Fort arsenal of Île Ste-Hélène, the Stewart Museum is host to an array of historical military artifacts. Encompassing two full floors of a spacious locale, nearly 27,000 artifacts are housed in the Stewart Museum. Included in the collection are rare books, pieces of historic weaponry, antiquated military objects, and unique photographs and images dating from the earliest First Nations to modern times. In addition to viewing the artifacts, guests are able to discover the history of New France, including Montreal and l'Île Ste-Hélène, as illustrated through interpretive material and interactive exhibits that guide visitors through the museum. La Guilde Culinaire offers participants the experience of attending a prestigious French cooking school without the intensity and grueling examinations. Instead, guests are able to benefit from the lessons and tips from professional chefs, while learning the staples of cooking and meal preparation. The experts at La Guilde Culinaire offer a variety of classes, including general cooking classes and courses on preparation of a multicultural array of specific cuisines, including Spanish, Chinese, and Thai, along with Tapas, sweets, and chocolates. Classes are predetermined on a monthly basis. The Pointe-a-Calliere Museum is a museum of history and archaeology situated in Old Town Montreal. The museum was founded as a celebration of Montreal’s 350th birthday in 1992, and it showcases an expansive range of artifacts and exhibits, beginning with exhibits dedicated to the First Nations. They illustrate the coexistence and interactions of the earliest known population of the area. Montreal’s Public Markets is a network of 15 urban markets located all over the Island of Montreal. Regardless of the season, markets offer first-class produce and products in a pleasant atmosphere that reminds of a friendly village, with a vibe that encourages hanging out and socializing. The markets offer fresh, seasonal, and local produce with something for everyone, including fresh flowers, fruits, vegetables, prepared food, cheeses, wine, candies, snacks, and much more. 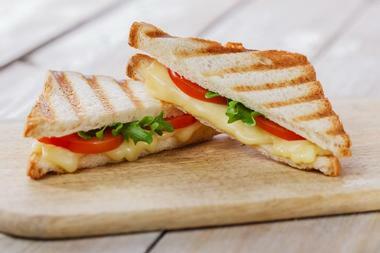 The most important principle is the minimum of intermediaries, only one between the food producers and the consumers. There are more than 250 members of the Montreal Public Markets that sell their goods, many from the same neighborhoods as the shoppers. The markets host many seasonal events and celebrations, cooking demonstrations, gourmet walkabouts, workshops, and more. Located in historic Old Town, the Marguerite Bourgeoys Museum is an epicenter of historical and cultural significance for the city of Montreal. The museum itself is centered on the life and accomplishments of Marguerite Bourgeoys herself, the founder of the Notre-Dame-de-Bon-Secours Chapel and the city’s first teacher. One of the original pioneers of the 17th century, Bourgeoys is credited for having contributed to the birth of Montreal. Connected to the museum is the Notre-Dame-de-Bon-Secours Chapel, which is open to the public. Together, the two buildings showcase artifacts, documents, and other sacred objects that Bourgeoys and the historic congregation once owned. The highest view of Old Montreal can be seen from within the tower of the chapel. This quaint Italian eatery is tucked into a small urban space in the charming St. Henri neighborhood, offering upscale evening dining at market value. Tuck Shop does not have a set menu, and instead bases the nightly fare around daily market availability and seasonality, using social medial accounts to update guests with the evening’s upcoming dishes and wine list. The location of Tuck Shop is cozy and offers guests an intimate and relaxing dining experience. Montréal Ghosts is a unique walking tour combined with street theatre set in the historic landscape of Old Montreal. The “ghosts” are professional local actors who are working with the tourist agency Guidatour. Montréal Ghosts was the first company to develop the concept of an evening walking tour of the city with street theatre showing the ghosts of the past. 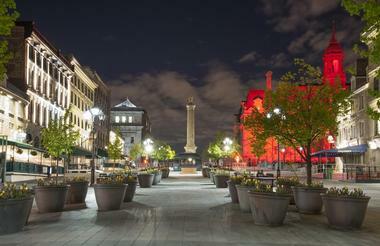 The tour allows guests to explore Old Montreal in a very different way. In both tours, the Traditional Ghost Walk or the Ghost Hunt, the guests encounter witches, charlatans, and former criminals that await them around the dark corners of Old Montreal. Played by actors, they tell the grim stories, legends, secrets, and mysteries of the past. The tours are available in English and French. Dedicated to illustrating the story of the first settlers of New France in the 17th century, the Maison Saint-Gabriel Museum aims to preserve the heritage, history, and artifacts of the original pioneers. The museum itself is housed in a 300-year-old farmhouse that, once an original building of the settlers, is now a National Historic Site. Exhibits within the museum include interpretive information and artifact exhibits describing the life and habits of these first settlers, showcasing their personal stories, farming techniques, the old school house, and a church. Over 15,000 artifacts are housed in the museum, and most of them originated between the 17th and 18th centuries. This classic French restaurant offers patrons an authentic and upscale dining experience for both lunch and dinner. The restaurant is renowned for its impressive wine list, which is inscribed across the surface of a large blackboard that covers an entire wall of the space. The menu is designed to pair with the wine offerings, and the food selections are adjusted regularly to adhere to seasonal availability and locally grown ingredients. Three menus allow guests to order lunch or evening portions, as well as dessert choices, which includes a rotating cheese selection. Aside from the interior dining room, a small, seasonal patio is also available for guests. 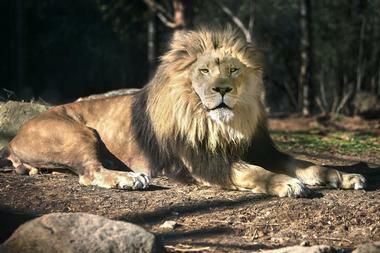 The only outdoor zoo in Montreal, this 28-acre site is home to over 115 species of animal life. Part zoo, part eco reserve, the Ecomuseum is known for showcasing creatures native to the Saint Lawrence Valley, which comprises the southwestern portion of Quebec. It has created several natural habitat exhibits, and the Ecomuseum prides itself on being able to educate guests on the authentic lifestyle and habits of each creature while providing a sanctuary in which they can comfortably live. The Ecomuseum is divided into four distinct zones that serve as the homes of mammals, birds, reptiles, and marsh creatures. 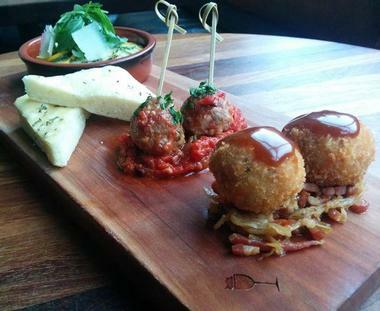 Offering Tapas and an expansive wine list, Pullman is open for dinner in the evenings. This elegant and sophisticated restaurant is known for the quality of its wines, of which it has a diverse array that includes some particularly nice vintages. Pullman emphasizes artistic and bold presentation, and the wines are meant to perfectly accompany the menu. The knowledgeable staff members are always happy to suggest pairings. Dishes range from simple servings of snacks to larger meals, all derived from locally grown and seasonal fare. This trendy restaurant offers a fine modern dining experience, and the atmosphere balances industrial and warm touches, offering an overall welcoming experience. 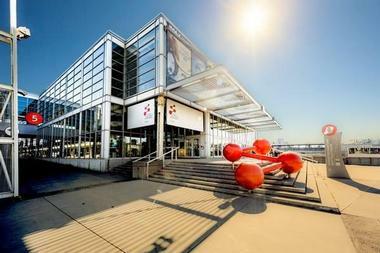 Located on the King Edward Pier in the center of the Old Port of Montreal, the Montreal Science Centre is home to a vast array of technology and science based exhibits and an expansive IMAX theater. The Science Center welcomes families and visitors of all ages, and it is comprised of interpretive and interactive displays that inform guests about the various featured topics through activities and personal experience. Permanent collections include a Windmill exhibit and a Cargo exhibit, which delves into the journey cargo takes in a big city port like the Montreal Port. Additional permanent exhibits include a young child centric area and a Science Zone, which features 26 unique, participation-based experiments. Rotating exhibits and IMAX features vary, and the Centre offers a calendar of events on their website. 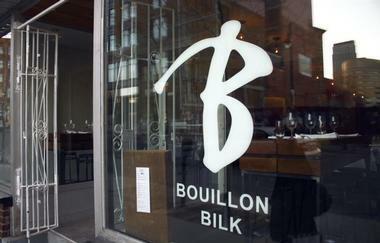 Bouillon Bilk opens in the evenings, serving dinner to expectant and enthusiastic patrons. The restaurant is located in a unique structure, and the inspiration for its atmosphere and menu was derived from the understated and minimalist essence of the space. 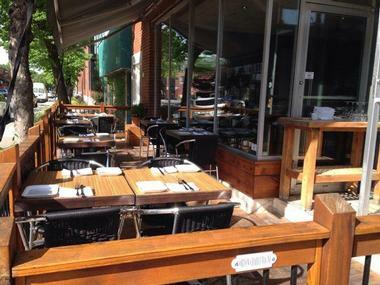 The food is upscale Canadian fare, a fuse of local organic ingredients and distinctive flavor combinations. The staff consists of knowledgeable food and wine enthusiasts who are able to advise on pairings and selections. The space is comprised of understated furnishings, instead relying on an unpolished elegance and eclectic simplicity, allowing the food to resonate with guests. This classic French restaurant is located in the quiet Villeray neighborhood, and it is open to patrons in the evenings. Chef Pascal Turgeon offers a three-item menu to his guests: two seasonally determined dishes and a main dish that varies day-to-day. Chef Turgeon bases the daily menu around the availability of produce and ingredients sold at the market. The restaurant offers upbeat fine dining in a polished and sophisticated environment. Each dish is individually designed and elegantly presented, and the staff is knowledgeable regarding the restaurant’s expansive array of wine and dish pairings. The restaurant also offers a BYOB system, allowing guests to bring their own bottle of wine if they prefer. 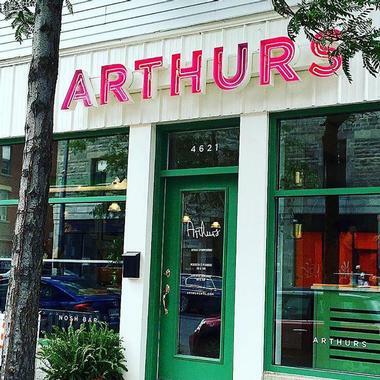 Arthurs Nosh Bar is advertised as a “traditional Jewish deli”, but is actually neither traditional nor a deli, and while the menu contains several traditional Jewish dishes, don’t expect your bubba’s smoked meats. You will, however, find delicious organic smoked salmon and they do serve latkes, challah bread, and kosher salami, but it is more a place where you can expect quinoa and gluten-free dishes. The mix works very well and the place is beautifully decorated, bright and modern, with an herb garden, leather banquettes, and black and white photos on the wall. You can get breakfast in a glass, known as the “Bloody Cesar,” and your traditional breakfast drink will have a bagel with smoked salmon as a garnish. The place is always packed, especially for weekend brunch, so expect to wait in line. Park Restaurant, serving Asian fusion dishes and hand-crafted sushi, is open for lunch, closes for several hours in the afternoon, and reopens for dinner. 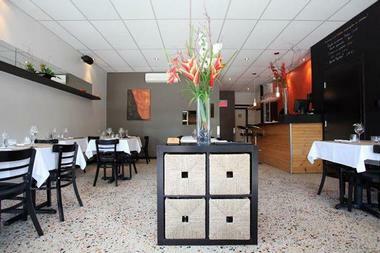 The restaurant is named for its resident chef, Antonio Park. Park, a native Korean, was raised in South America before moving to Montreal, and considers his native background as a multicultural blend. His philosophy as a chef is to fuse this blend into the dishes he prepares, an apparent success as evidenced by the restaurant’s popularity. Park uses a variety of spices, ingredients, and cooking methods to create his delectable dishes, which vary based on season. The restaurant environment offers a trendy, industrial vibe, purposefully infused with hints of tastefully decadent elegance. The result is an edgy yet romantic ambience that still feels casual. Exploring Montreal food offerings would take years, but with the help of Round Table Food Tours, you can walk or bike your way behind the scenes and talk to the best chefs, young entrepreneurs, foodies and interesting local characters. You will visit iconic restaurants, learn about diverse Montreal neighborhoods, pick up gossips and legends, and sample some fantastic food. Round Table Tours offers about half a dozen food tours. On the Iberian tour, visitors get a taste of Spanish and Portuguese Montreal. A Jewish tour takes visitors to well-known landmarks such as Lester's Deli, Willensky's Light Lunch, and Cheskie's Bakery. 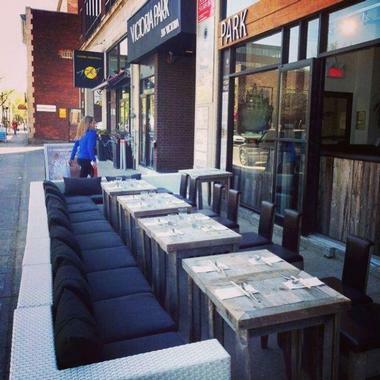 Montreal: The Living Table focuses on healthy and sustainable food. Velo Lifestyle is one of Canada's premiere bike retailers, offering online service through its website and a physical store and gallery space in Montreal's Griffintown neighborhood. The company, which is operated by Allo Velo, Inc., strives to encourage Canadians to ride bicycles daily, selling top European brands tested for quality and lifestyle demands. Top brands for sale include Dutch Gazelle, VANMOOF, and Creme Cycles, along with cargo bikes produced by brands such as Butchers and Bicycles, Triobike, and Larry vs. Harry Bullitt Cargo Bikes. 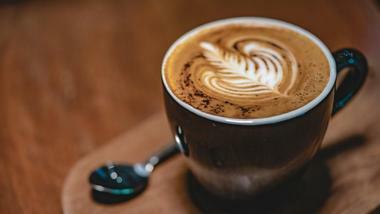 Visitors at the company's Montreal location can enjoy a full-service coffee bar serving up Italian roast lattes and other coffeeshop delicacies, with bike rentals available for exploration of the city's most beautiful landmarks. Bar le Lab is a hip cocktail bar in Montreal's Quartier des Spectacles arts and entertainment district, opened to the public in September of 2016. The bar is the second Montreal bar opened by Mixoart, following in the tradition of the renowned Plateau and offering a full kitchen and cocktail menu. Cocktails rotate seasonally, highlighting local and international liquors and unique ingredients such as hibiscus kombucha, shrub carrot, cold brew coffee, and sriracha. Full lunch and dinner menus feature land and sea entrees and pasta dishes, while a bar snack menu serves up light bites late into the evening. During December, a three-course holiday meal may be reserved for groups of 10 or more. Built in 1915, this historic mansion turned museum originally served as the home of the Dufresne brothers Marius and Oscar. The French Canadian entrepreneurs based the mansion on the Petit Trianon, a small chateau located on the grounds of the Palace of Versailles in France. After the Dufresne brothers, the property was owned by a university in the 1940’s, and then passed on to the city of Montreal in 1957. 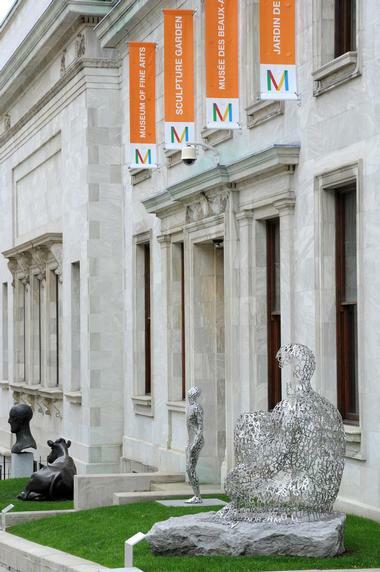 It has since become a renowned establishment known for housing various art museums. 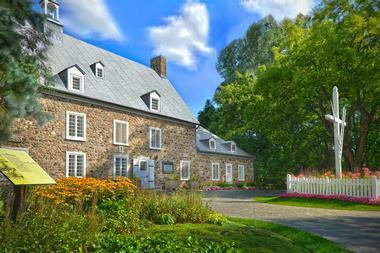 Today, the 40-room building is open to the public for tours. It showcases the elaborate architecture, styling, and decor of the Dufresne brothers and presents historic and famed works of art that have found a home in the Museum. 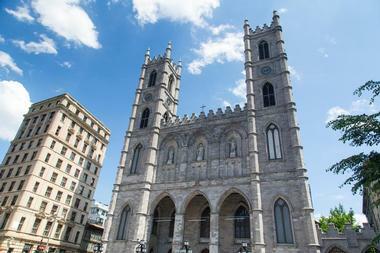 Free Montreal Tours offers an informative 120-minute jaunt through the city. Local guides utilize a combination of love for Montreal along with their professional training at the Institute de tourisme et d’hotellerie du Quebec, a well known hospitality and tourism training program, to provide guests with a compressive and entertaining tour experience. This three-hour guided tour leads guests through three pillars of the Montreal craft beer scene. The establishment is dedicated to visiting locally owned and founded establishments, and the six breweries showcased on this tour are unique to Montreal. In addition, each brew is accompanied by a specifically selected food pairing that has been chosen to enhance both the experience of the beer. A house made Poutine, beef gravlax and cheese, and chocolate are among the delicacies paired with each drink. 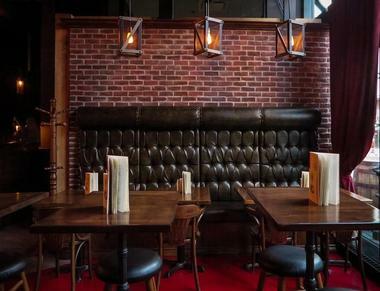 Guests will walk from pub to pub while the local guide entertains them with historical stories about the darker past of Montreal, including tidbits about the former Red Light District. Guides also highlight the entertainment district and several of the city’s architectural gems such as hidden parks, outdoor venues, and historic mansions.